Whether they're baked, roasted, boiled, or mashed, there's no wrong way to make a potato! In fact, potatoes are amazing in that they are so versatile, delicious, healthy, can be used in any number of creative recipes, and they are so easy to prepare. And that goes double for sweet potatoes! Our recipe may require a bit more skill than usual, but the end result is so worth it. 1. Heat some oil to 350°F in a deep pot for later. Boil both the sweet potatoes and russet potatoes in salted water until very soft. Mash them separately with a potato masher, stir in the butter and egg yolks, season with salt, pepper, and nutmeg, and refrigerate both sets of mashed potatoes until cold. 2. 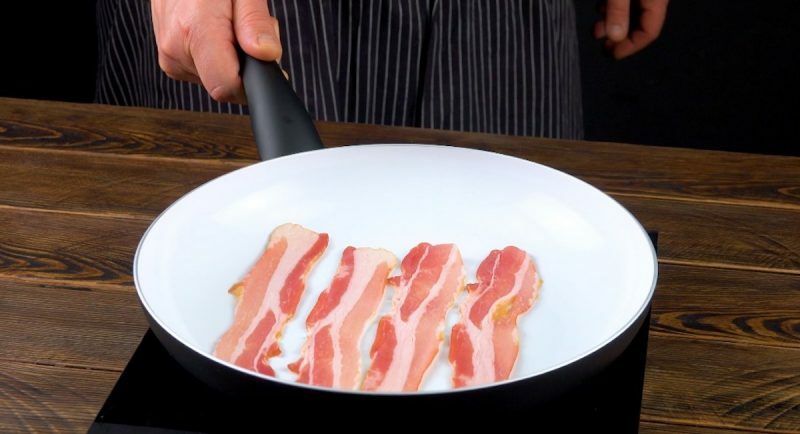 Fry the bacon slices on both sides and set aside. 3. 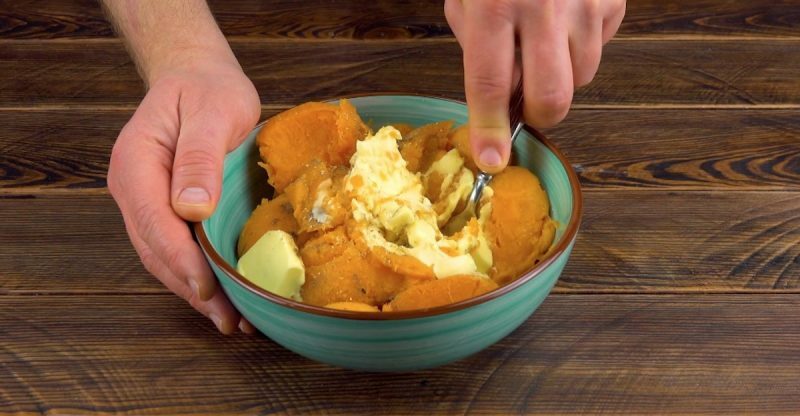 Divide the sweet potato mash into 4 portions. 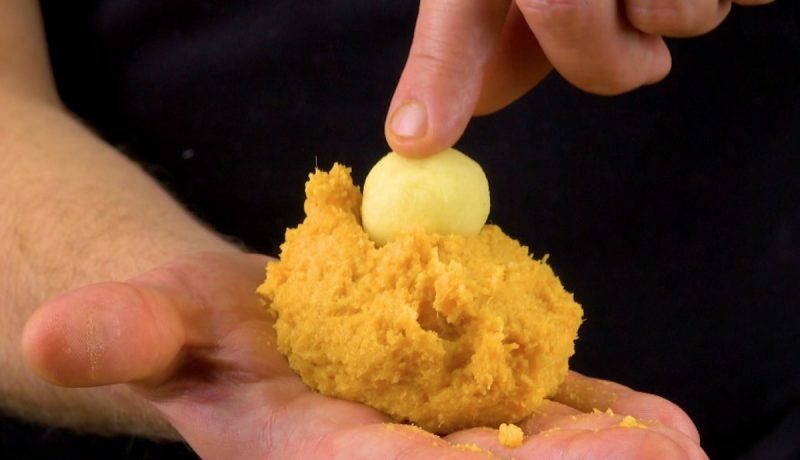 Take 1 tbsp of shredded cheese, shape it into a smooth ball, place it in the middle of one sweet potato mash portion, and roll that into a smooth ball. Repeat with the other 3 portions of cheese and sweet potato mash. 4. 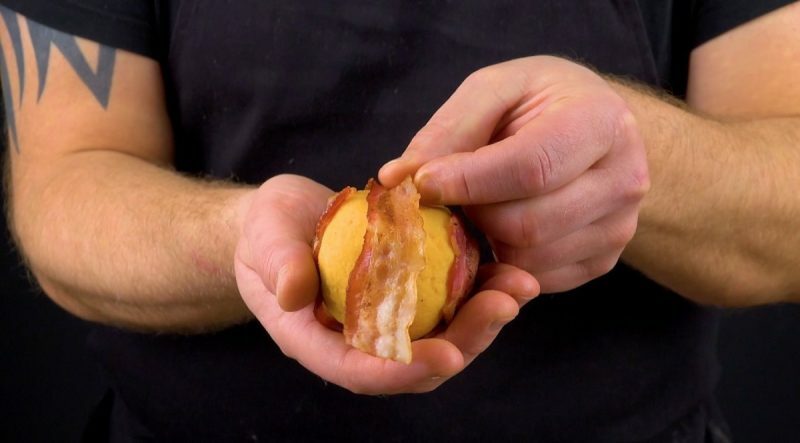 Wrap two slices of bacon around each ball and lightly squeeze to hold them in place. 5. Divide the regular mashed potatoes into 4 portions. 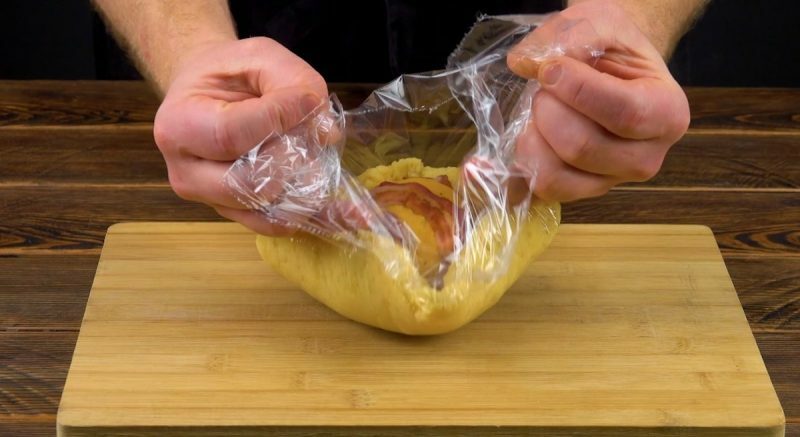 Put a piece of plastic wrap on a cutting board and press a mashed potato portion flat on it. 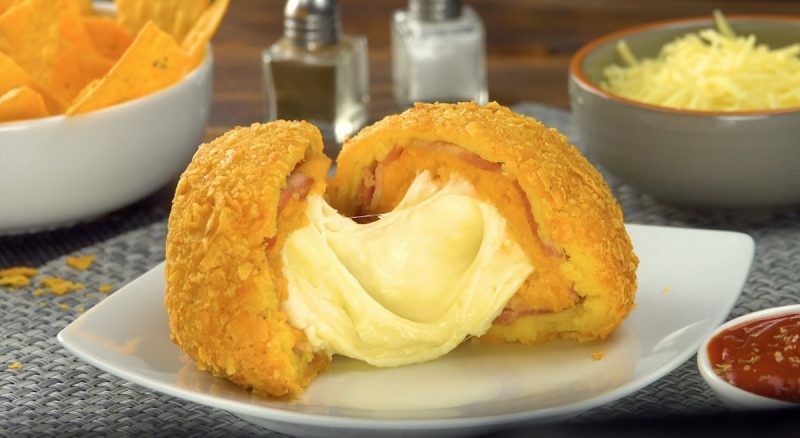 Place the bacon sweet potato ball in the middle and shape the mashed potato mixture into a sealed ball. Repeat with the rest of the portions. 6. 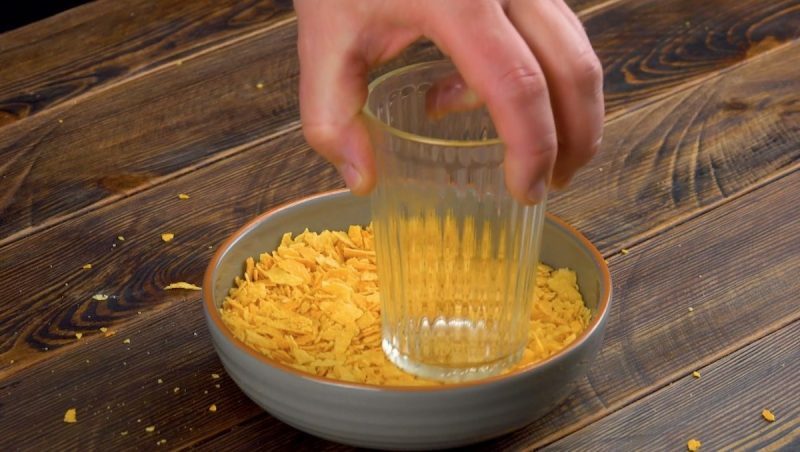 Whisk the egg and crush the potato chips. Then roll each bacon potato ball in flour, egg, and chip crumbs. 7. Fry the breaded potato balls in hot oil (350°F) for 5-7 minutes. All of the ingredients on their own are delicious enough, but put them together and you've got a true winner! You can find the recipe for the Spicy Potato Balls With Fresh Herb Dip featured in the bonus video here.